Indeed, the significance of this work cannot be understated: it helped inspire the name of the Keter Torah Karaite synagogue in Ashdod. 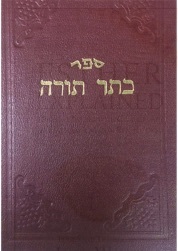 The Karaite Press, a project of the Karaite Jews of America, is currently working on an edition of Keter Torah. 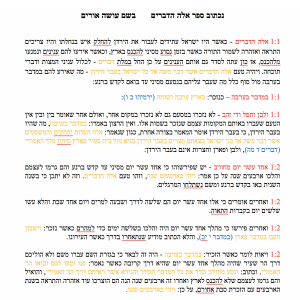 Today I show you what the project entails and – just in time to start the Torah’s reading of Parashat Devarim – you can get a draft of the commentary on that parasha. I had asked Marc Khedr, one of the hazzanim at the KJA, to pick up three copies for me when he was in Israel. I kept one copy for myself and gifted the others to two individuals helping me retype some Karaite works. One of these individuals, Jeff Davis, helped me retype large portions of Keter Torah itself. The other individual was Matthew Rolland, who is a sisiyot tying extraordinaire. 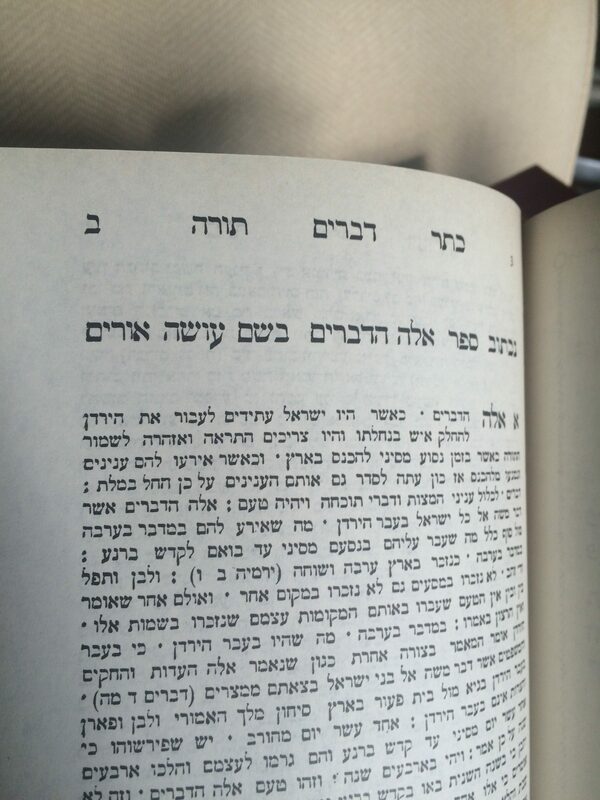 Here are two images of the inside of Keter Torah. You can see that – unless you are a biblical scholar, it is impossible to decipher the commentary from the biblical text. And it was so difficult to even know which chapters and verses you are looking at that the publisher had to add them in a different font at the top (not pictured). As if that weren’t bad enough; we actually don’t have a scholarly edition to work from and there are so many manuscripts (which is a good thing!) that putting together a full critical edition would be too time consuming and fraught with peril. So breathing new life into this book was going require a clear scope of work. The first order of business was to find a scholar who was up to the task. At the recommendation of Gabriel Wasserman, who has played the most vital role in making The Karaite Press an academic endeavor, I started working with Tzemah Yoreh, who holds a PhD and is an ordained rabbi. Oh and he will likely defend a dissertation for a second PhD this fall. With Tzemah in place, the next order of business was to determine where to start. We chose the commentary on Deuteronomy (the entire book, not just the parasha) because of its relative brevity. 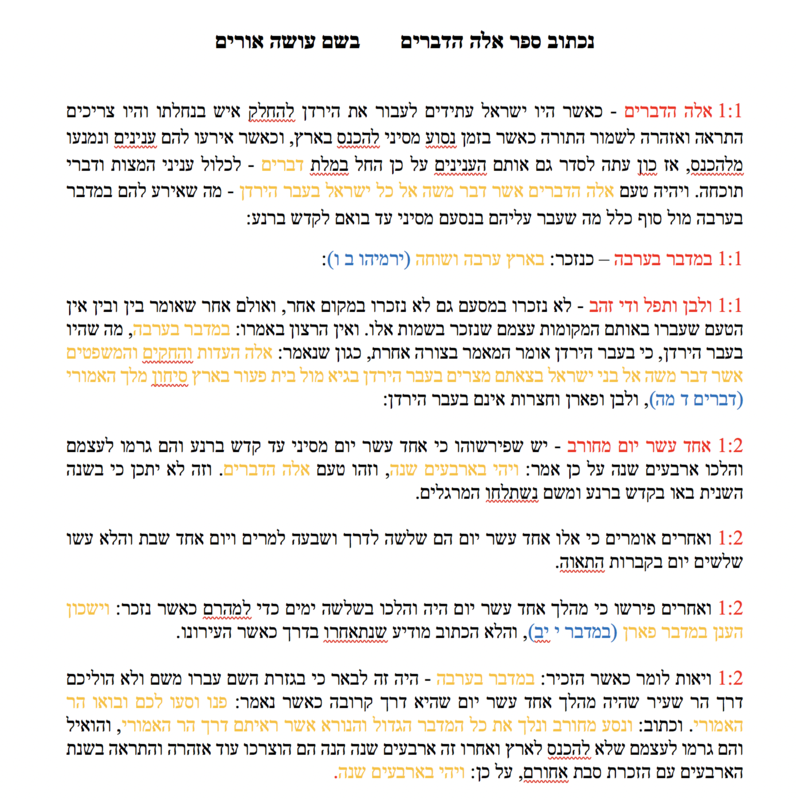 Next, we set out to make the Hebrew text more user friendly, by dividing up the text according to the biblical words being commented upon and using color coding to identify various aspects of the text. This color coding won’t survive to the print edition, but it allows us to run scripts at the typesetting phase to set these words in different fonts, if we so choose. 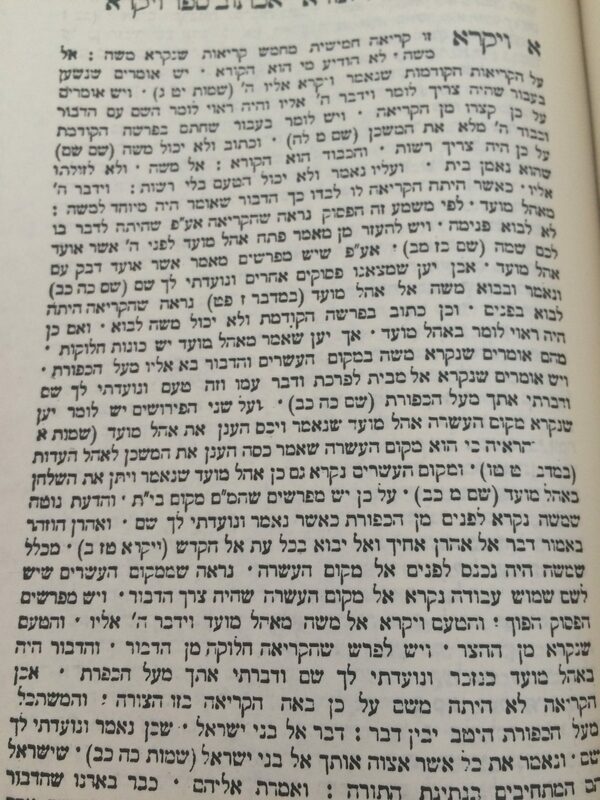 The beginning of Parashat Devarim. Click on the image for a closer look. We then had to contemplate how much we intended to translate. I went back and forth on this many times with many Karaites and non-Karaites. We initially decided to do an abridgment – excluding all purely grammatical notes and many long and drawn out philosophical points. We also decided to add in certain explanations in order to help the reader understand the comment. I know that sounds weird, but the average American (Jew or otherwise) has two obstacles to overcome in reading Hebrew commentary. The first obstacle is that they don’t read Hebrew. The second obstacle is that they don’t know Tanakh. I am on this spectrum. My Hebrew and knowledge of Tanakh is good enough for some purposes; but I definitely could not translate 90% of these comments in any meaningful manner. 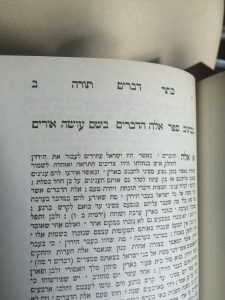 Around this time, after we had done an initial draft, I got an email from Nehemia Gordon linking to a manuscript of Keter Torah suggesting that I find someone to translate this for The Karaite Press. Talk about a God-incidence! This immediately reminded me of the verse from the prophets: And it shall come to pass, before they call out, I shall answer them (Isaiah 65). I informed Nehemia of the project and the scope, and he encouraged me to translate as much of the commentary as we can – including grammatical notes. He was right. We have one shot to do this in English and if we don’t do it now, it almost certainly won’t be done in the foreseeable future. So, we decided to expand the scope and include all comments (except that we would translate only portions of the long philosophical musings – and now that I am typing this, maybe we should translate those too. . . we’ll see). Usually, when I announce these things, I encourage people to make a donation to The Karaite Press or the KJA. I won’t do that today. Instead, I want you to enjoy this monumental moment in Karaite education. 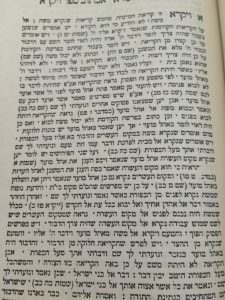 Of course, I will encourage each of you to buy a copy of Keter Torah on Devarim when it comes out: ~ March 2019. I also want to take this opportunity to thank KJA President David Ovadia, who, during an extremely busy time with the KJA remodel, saw the necessity to reinvigorate Karaite Jewish education and offered encouragement and support for this and other projects at The Karaite Press. wow, fantastic news, well done, and wishing you success! This is a wonderful BLESSING! Kudos to ALL who are working on this very important project for our English nation. I am so thankful that you have decided to include translations of the comments as well, and I am hoping that those philosophical musings will be translated and included as well. For in those available revealed precious musings, we can garner further finite glimpses of the Karaites that otherwise have been lost through antiquity. I look forward to this final revealing of this knowledge! I can’t even express how much you (and everyone working in The Karaite Press) are helping me and a lot of people throughout the world! Kudos to you Shawn. This is a huge undertaking. Yet, no one other than yourself can tackle the task. In all honesty, I don’t know what the Karaite education program be without you or without you leading the Karaite Press. Many thanks to your wonderful leadership and meticulous follow through. Of course I’ll be a buyer (also cannot wait) when the work is finished. I encourage you all to purchase the work. Knowing Shawn, it will be a masterpiece. Thank you very much, Henry! Thank you Thank you. I appreciate you considering those of us who can’t read or speak Hebrew fluently. I’m so excited. I will definitely be making my purchase in 2019. I don’t understand why there is only one karaite synagogue in the US we need many many more! Nehemia Gordon’s email sent me to this article, and I am so glad! Great news! Looking forward to buying a copy. I always appreciate learning more about Torah from others who love it. How can I learn more about Karaite Press? Plenty of scholars without the requisite Hebrew/parshanut skills to fluently read the original might also be interested in those “philosophical musings” as well, especially if they’re mostly familiar with Aaron as the author of the Etz HaChayim/a respondent to Maimonides. So I would also encourage the fullest translation you are able to produce/fund on those grounds. I want to buy one as soon as it’s available.